The well-loved pancake place has had a make over on their menu. 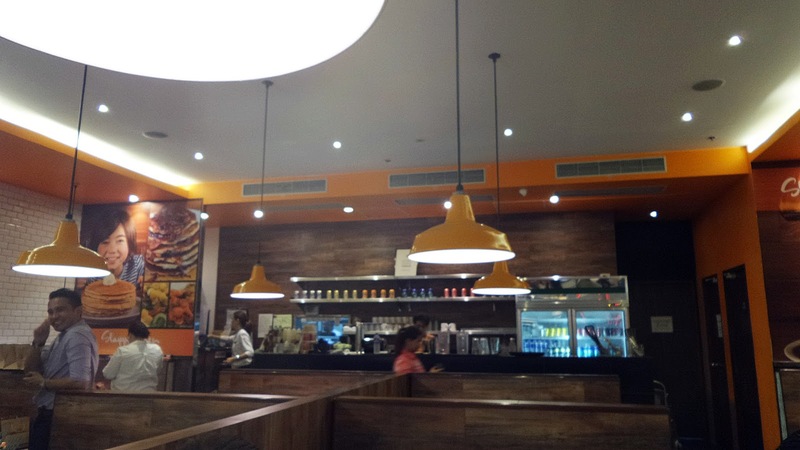 I was ecstatic to try them out and this time, though I've been craving for their vegan pancake batter, I visited their SM Aura branch, dined with the table-top griddles covered. Unfortunately, I didn't make a couple of pancakes but what the heck, I was able to try some of their new menu offerings. Please. don't tell my kids I went here, they terribly miss another gratifying and fun pancake-play-eat sesh at Slappy Cakes. The great thing about Slappy Cakes' subtle change is that creativity in both the taste and visual perspective were at play. All thanks to Chef Him Uy de Baron's panache in designing innovative dishes that assures quality and excellent dining venture. 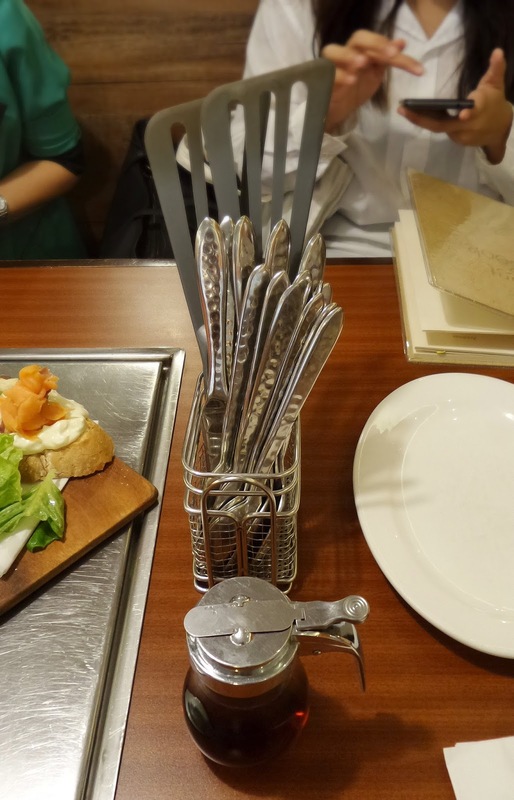 In keeping with the diner's favorite in mind, they have given their mainstays a new plate-look but retaining the same good old flavor it's been loved. 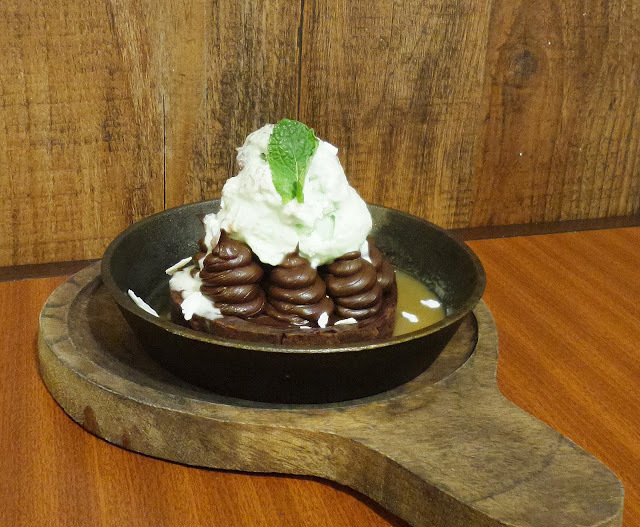 But for their more adventurous diners, new exciting dishes have been introduced. You'll never eat salad the same way again until you have tried this. If you think this was just piled up lettuce, arugula, slivered cucumber and cherry tomatoes, I'd shut my mouth, or rather I'd fork more batch of the aforementioned veggies and begin savoring the almost invisible layer of dressing around every ingredients. 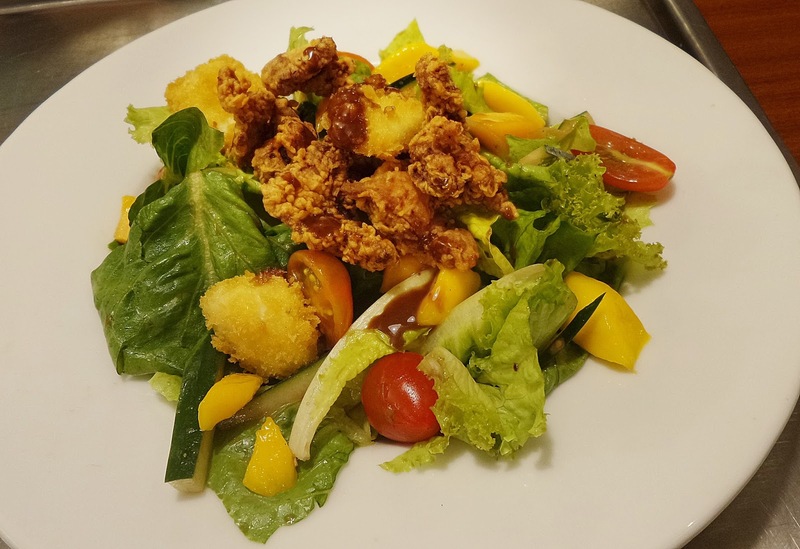 Without being cloying or too tangy, the subtle raspberry addition to the vinaigrette was perfect for the play of texture and taste given off by the sliced mangoes, candied walnuts and chopped crunchy fried chicken. Dig and you'll be happier when you see white cheese in the pile. This plate of salad and toast combo isn't actually new, though to me it is, but have probably gone through a change in plating. Anyhow, I was lovesick after taking a few bites from this. 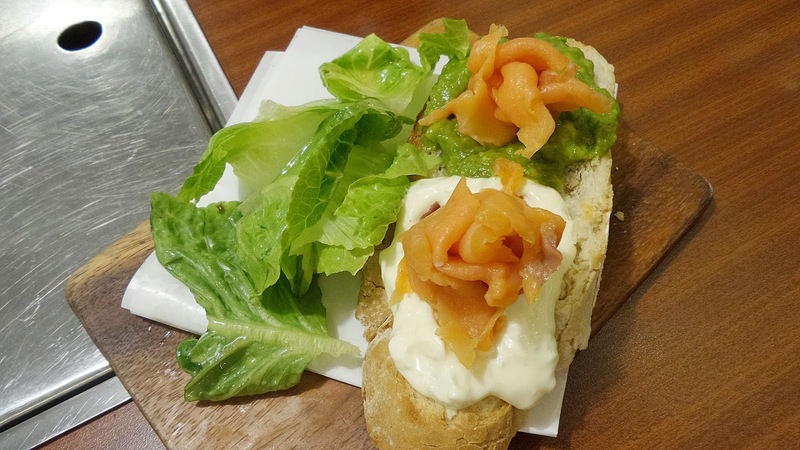 Imagine sinking your teeth into the crusty slice of sourdough bread richly slabbed with a creamy guacamole and hefty serving of salmone affumicato, also known as local version of smoked salmon. Again a good utilization of texture and flavor. Getting a two-for-one pasta dish is such a sweet deal, don't you think? The imaginative idea of using carbonara sauce over lasagna is a genius! 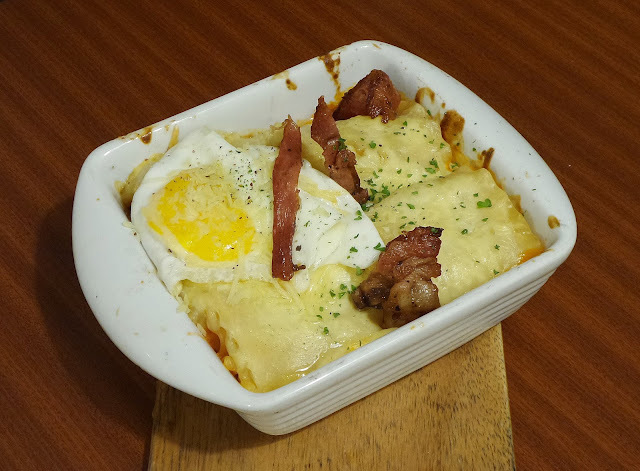 With the elements of our favorite home-grown Carbonara - bacon and egg, giving added depth to the flavor plus the cheesy goodness of the roux is a treat in itself. I don't mind having this for breakfast at all, together with stacks of pancakes. You might also want to try a new pasta dish-Sausage Pasta. Another new dish under the All-day Bfast catergory is the Sausage Breakfast Skillet. 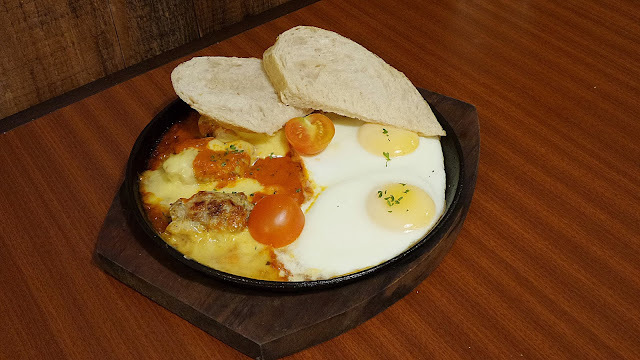 Served on a sizzling hot plate, (looking something like shakshouka) home-made sausage slices and two poached eggs were on a bed of pomodoro sauce and topped with melted cheese. I love dipping the toast on the sauce once the eggs have weaved into the sauce. Chef Him kept the heritage of the brand intact and at the same time, considered food that Pinoy's constantly crave for, hence, the D-I-Y Skillets. 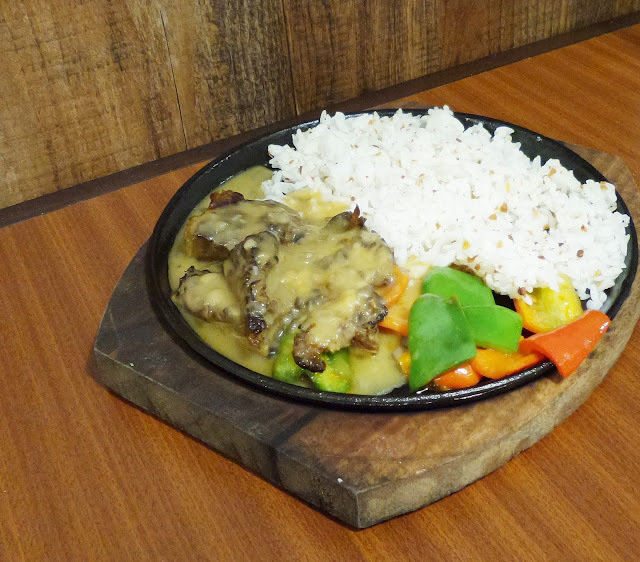 D-I-Y Skillets are hot plates were you can choose your entree (viand), sauce and the starch to go with everything. Also, grilled veggies are included. 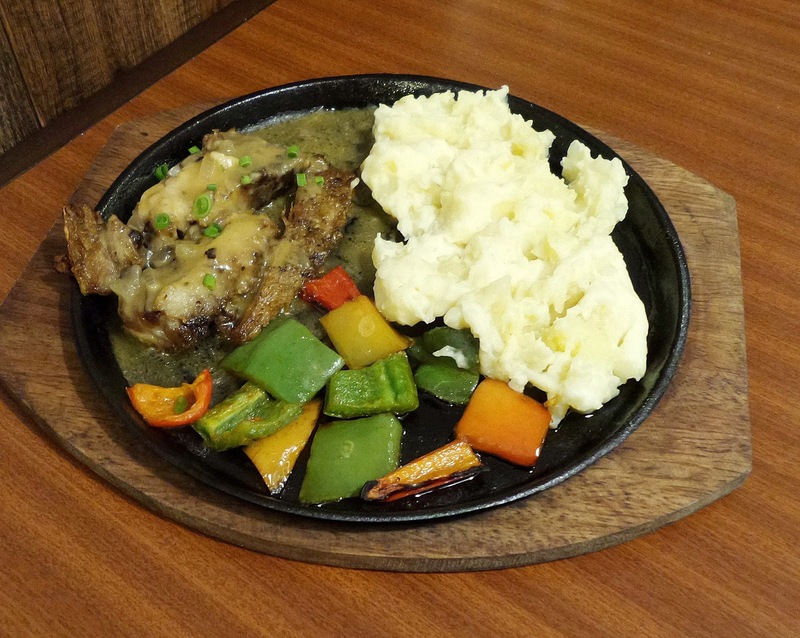 Above are Roasted Beef Belly (Angus beef) with Mushroom belly, the first photo is with garlic rice, while the second one is with Mashed Potatoes. Even the desserts were given uncanny twists and with Chef Miko Aspiras as the pastry genius behind their new dessert offerings. When I say that I love chocolates, I meant to be understating my true fondness for everything chocolate. But even so when something minty is added to it. Added to my long list of chocolate-inspired desserts is the Grasshopper Pie. In keeping with the continuity of the theme, the gooey goodness is served in a hot skillet. In the middle of a puddle of caramel is a chocolate tart shell crowned beautifully with anthill-looking chocolate ganache then heavily tipped with mint chocolate ice cream, and drizzled with white chocolate. Or get a glass of their milkshake, above is blueberry flavored, rich and heavy and will utterly lead you to food coma. Of course a good meal needed a good beverage to help drown all those goodness. I had Cucumber LimeAide. It's like my childhood fave drink "Cool Aide" added with lime and cubed fresh cucumbers. 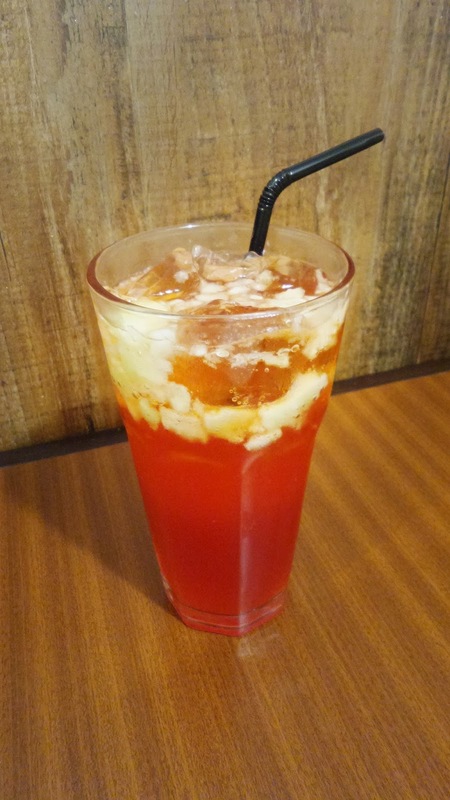 So refreshing and perfect for this summer. 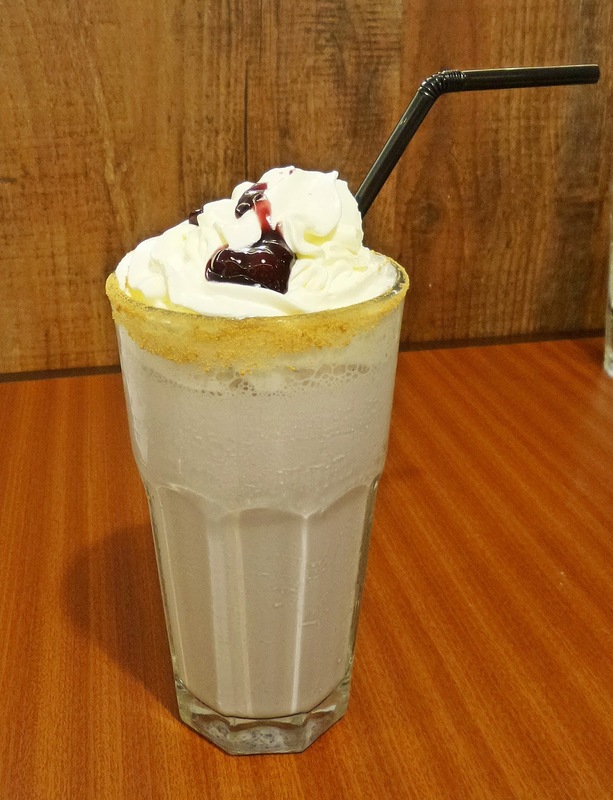 I hope I had given you enough reasons to plan a visit to any of Slappy cakes's branches.